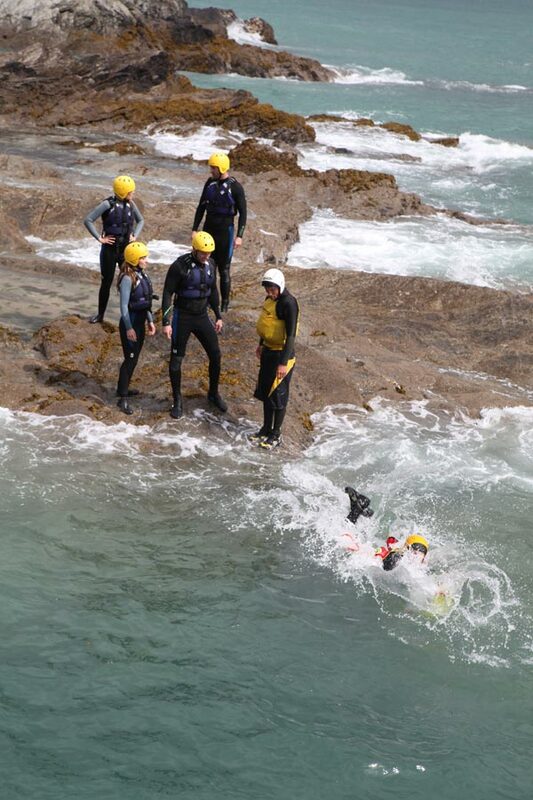 Experience the best Coasteering available in the South West. Newquays diverse range of cliffs in such a small area, makes it a coasteering dream. 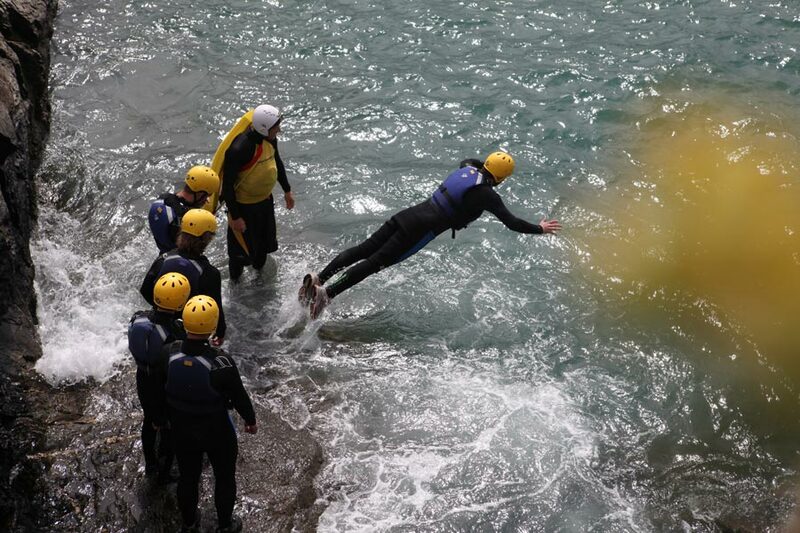 Let us take you on a proper coasteering adventure which includes wild swimming, caving, playing in moving water and Jumping off the cliffs, its a real adventure tailored to suit each individual. All the features in the Newquay area coasteer routes are optional which makes it the perfect activity for mixed ability groups. Challenge yourself with nature’s watery wonderland – fun, adventure and challenges – all enjoyed at your own pace. 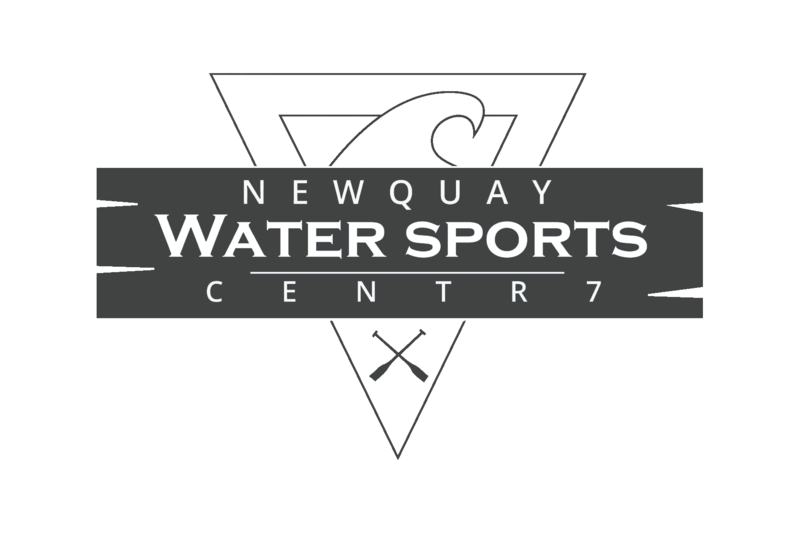 NWSC has developed coasteering routes in Newquay that are all available on both low and high tide it just depends on what you want. Generally, low tide coasteering trips bring wildlife and more caves to see but maybe one or two less jumps, this is really good if you want to explore the shore. High tide is all about the jumps and moving water, the ultimate in fun. 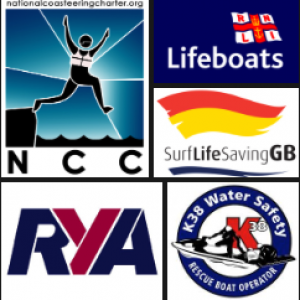 All equipment + instructor included in our Coasteering adventure designed to go to each individual needs. You will explore and work your way along the coastline using various methods and techniques – Low level climbing, scrambling, caving, cliff jumping and wild water swimming. Discover a whole new world and see Newquay coastline and wildlife from a different perspective. You will arrive for a safety briefing, get kitting up and then into the ocean to Coasteer using various techniques exploring then eventually back to base to get changed. 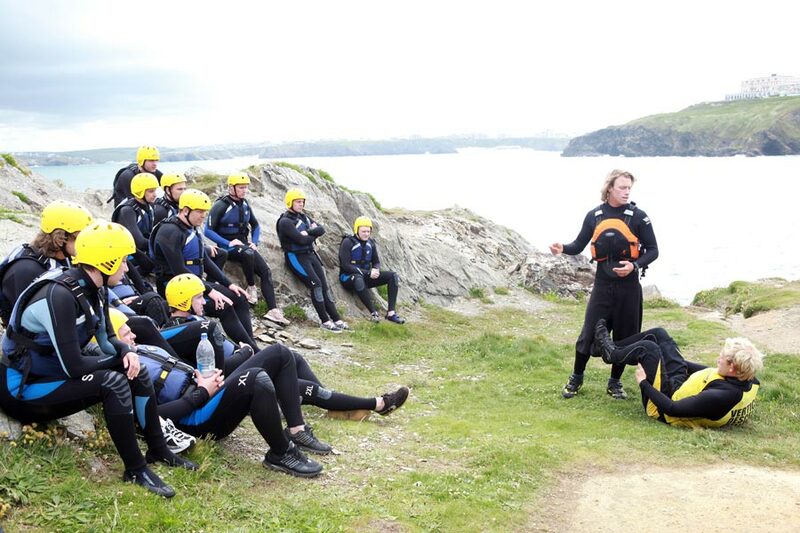 Coasteering trip with Jet Ski Board Blast during trip – All equipment + instructor included in this epic adventure designed to go to each individual needs. You will explore and work your way along the coastline using various methods and techniques – Jet Ski Board Blast + Low level climbing, scrambling, caving, cliff jumping and wild water swimming. 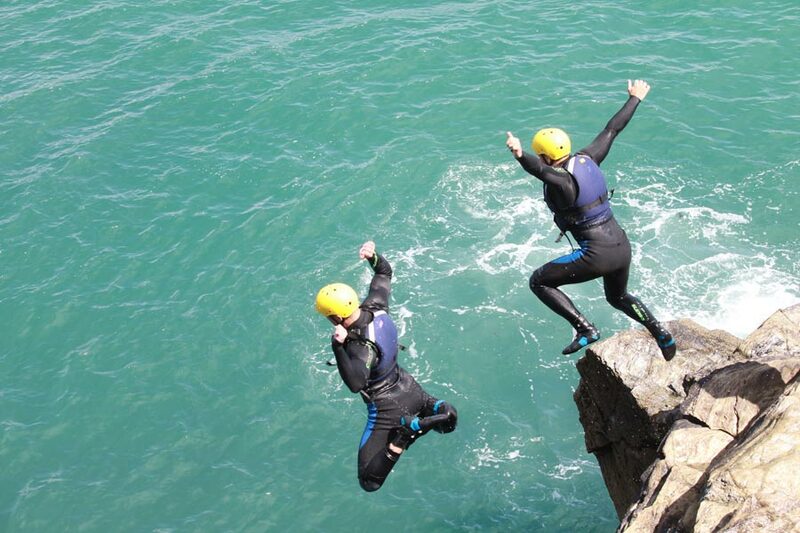 Discover a whole new world and see Newquay coastline from an epic perspective. You will arrive for a safety briefing, get kitting up and then into the ocean to Coasteer using various techniques exploring. Then you will be picked up and whisked off out on to our Jet Wing for a blast to the next section of the Coasteer to keep Coasteering and then eventually back to base to get changed. Minimum 8 People – Less than 8 please call we may have a trip you could join. All equipment + instructor included in our exclusive adventure just for you. You will explore and work your way along the coastline using various methods and techniques – Low level climbing, scrambling, caving, cliff jumping and wild water swimming. Discover a whole new world and see Newquay coastline and wildlife from a different perspective. You will arrive for a safety briefing, get kitting up and then straight into the ocean to Coasteer exploring the coast using various techniques, then eventually back to base to get changed. All equipment + instructor included in our exclusive adventure just for you and a friend or loved one. You will explore and work your way along the coastline using various methods and techniques – Low level climbing, scrambling, caving, cliff jumping and wild water swimming. Discover a whole new world and see Newquay coastline and wildlife from a different perspective. You will arrive for a safety briefing, get kitting up and then straight into the ocean to Coasteer exploring the coast using various techniques, then eventually back to base to get changed.